Team H&R Block is proud to announce that 2013 team member Kris Dahl has now officially signed a professional contract for the 2014 season with Team SmartStop. Kris will be joining fellow Canadians Zach Bell (2014 Canadian Road Champion) and Rob Britton (former Team H&R Block rider). 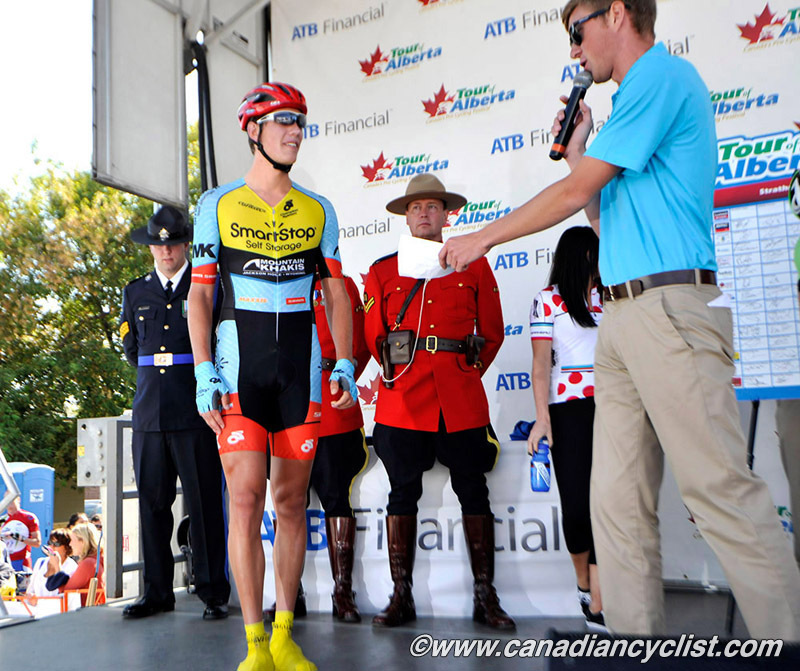 Kris earned a spot with Team SmartStop at the Tour of Alberta in August after qualifying as the top Alberta rider at the Banff Bike Festival in July. Kris rode a strong race for the team in Alberta, making the break in Stage 5 and holding on until the peloton nearly reached Calgary for the closing circuits. Kris attributes much of this success to his three seasons with Team H&R Block. As Kris states, "A huge thank you to Team H&R Block. Their focus on the development and support of young, up and coming riders has allowed me to further pursue my cycling career. I would not have been able to make the jump to the professional ranks without the help of the team over the past 3 years. The hard work put in by the sponsors, board of directors, and team manager has been greatly appreciated." Team Director Mark Ernsting said; "On behalf of the Board of Directors, sponsors and the athletes, I congratulate Kris on all of his accomplishments. Over the past three years Kris has systematically progressed in the sport and has now accomplished one more of his goals, turning Pro". Kris has become one of the fastest U23 sprinters in Canada and he will only continue to progress in the sport with the opportunity to race at the next level. This is Team H&R Block's third rider in three years to turn Pro, "the team is designed around this philosophy and we are very happy that Kris will be our next new Alumni in the Pro peloton. We wish him all the best in 2014 and beyond", says Ernsting.